A ruling was made today after more than three days of testimony in the preliminary hearing of dressage trainer Gwen Stockebrand. Sonoma County Superior Court Judge Jamie Thistlethwaite reduced the felony charge of animal cruelty to a misdemeanor, but denied the defense’s motion to dismiss the case. Thistlethwaite says she made the decision after reviewing other animal abuse cases and because Stockebrand does not have a prior criminal record. Stockebrand was charged in December for allegedly neglecting her Thoroughbred mare Valerie from June through early September. Those dates were later amended during the proceedings to June through late August. Ten witnesses including two vets on opposing sides contributed testimony in the case. 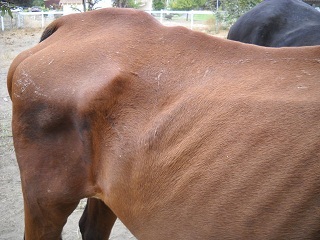 Equine veterinarian Grant Miller testified on behalf of the state that the mare was initially a 1.5 on the Henneke Body Condition Scale upon his examination. He attributed her condition to malnutrition. Rate My Horse PRO asked Deputy District Attorney Barbara Nanney if they would put a plea deal back on the table since the charge was reduced. She said she could not comment. 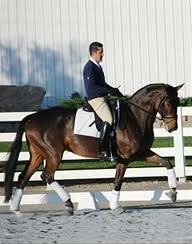 Stockebrand is a former international dressage competitor. She was selected to represent the United States in the Olympics, the World Championships, and the Pan American Games in the 1980s. 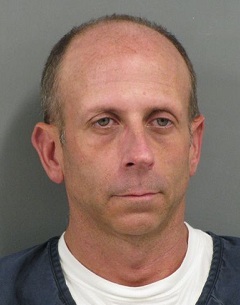 A court date has been scheduled for March 7 to set a trial date.